I heard Hilary Hahn, the big Schoenberg promotor, 2 years ago in Rotterdam playing the Elgar violinconcerto. 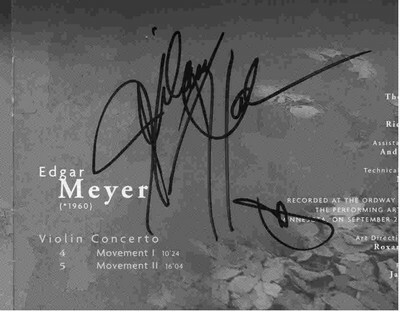 I got an autograph on her Barber/Meyer violinconcerto cd. The last 20 seconds of the 3th part of her Barber violinconcerto are so fast you can hardly can count the notes. In this video I try to express that with a lot of pictures in the end in a short time. Interesting, The fastest violinist in the world was on a british tv show, It's on youtube somewhere... He was playing flight of the bumble bee, and played the whole thing in less than 1:20, and averaged 13 notes per second! It begins at 5.41 of the 8.02th minute video. I think that Hilary is faster in the end of Barber. I think Hilary can play that piece the Bumbelbee faster and break the world record of David Garrett if she studies a lot on this piece. OK Hilary go for it and win the battle of the sexes. 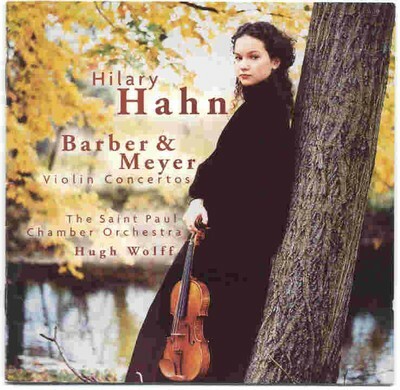 I have a pet theory that Hilary Hahn is from Alpha Centauri.. It's the last few notes of the run up the fingerboard that impress me the most.